Erica Fox Zabusky is a versatile artist and a creative arts and entertainment industry professional with over twenty years of international experience. As a singer/actress, her experience ranges from classical and jazz performance; to roles in musical theater, comedy, and drama; to host and emcee for special events. Professional credits include CATS (Hamburg), Salzburg Cathedral Choir, Pittsburgh Opera Chorus, as well as voiceover work and independent film. She has worked in both the US and Germany for commercial and non-profit organizations. She started in the recording industry at Teldec Classics International (Hamburg), with positions in both PR and A&R for opera, later moving to Sony Classical (New York). 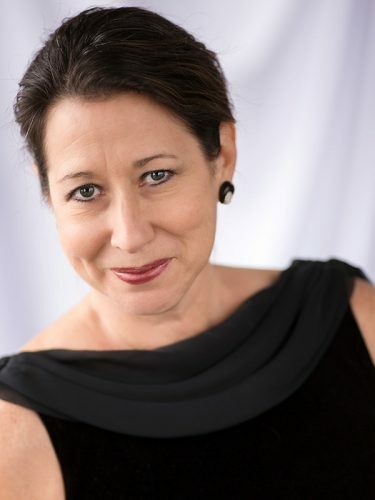 During her six seasons in Artistic Planning with The Philadelphia Orchestra, Erica worked with music directors Wolfgang Sawallisch and Christoph Eschenbach on programming and planning, collaborating on vocal casting and creating innovative special event programs. As Executive Director of string orchestra Ensemble Resonanz (Hamburg), she was responsible for finances, budgeting, marketing and PR, as well as oversight of artistic matters. Producer credits include the European premiere of Closer Than Ever (Maltby & Shire),The Philadelphia Orchestra’s semi-staged A Little Night Music, live Orchestra telecasts, and the world premiere of Fuel, a multi-media collaboration with Bang on a Can composer Julia Wolfe and filmmaker Bill Morrison (Executive Producer). Erica studied music at Harvard University and voice/opera at Salzburg’s Mozarteum. She earned a Certificate in Arts & Culture Strategy (NAS / Penn) in 2015. A self-professed ‘culture vulture,’ she attends concerts, opera, theater, dance and film whenever possible. She loves good jazz, food and wine, and speaks fluent German.